Images of charred vehicles, a flatbed truck and debris scattered along Interstate 17 weigh heavy on the Troupe family's hearts. 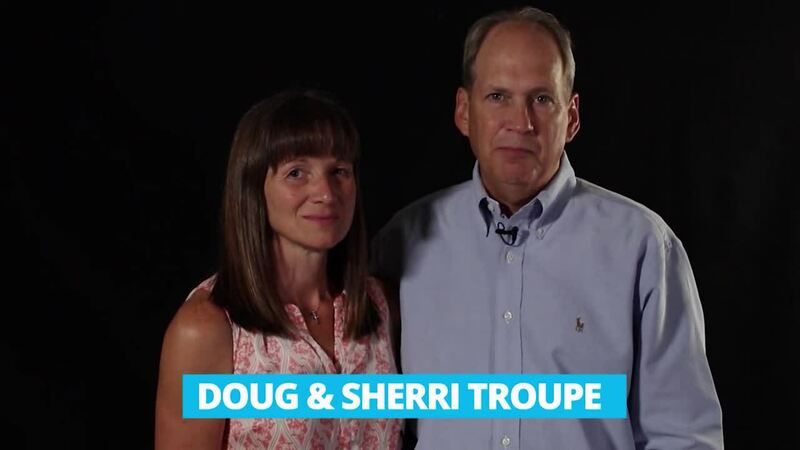 In November 2014, more than 1,000 miles away from Omaha, Doug and Sherri Troupe received a call revealing their only son, Paul Troupe, was involved in a fiery wreck in Arizona. "We found it was a semi-truck driver — was fully loaded, hauling some bricks and stone pavers [and] fell asleep at the wheel," said Doug Troupe. Paul Troupe and his wife, Sarah, visited Phoenix to attend an aerospace engineer convention. On Nov. 19, 2014, Sarah Troupe was expected to accept an honor highlighting her accomplishments after only graduating a few months prior. Hours earlier, during the morning rush, a semi-truck driver hauling several tons of materials traveling at an estimated speed of 65 to 75 miles per hour hit the young couple's car without ever tapping his breaks. The impact caused a multi-vehicle collision in which another person also died. Six months after getting married, Paul Troupe's groomsmen also doubled as his pallbearers during his funeral. Family and friends buried the young man on what would have been his 23rd birthday. His wife survived the crash. While years pass by, time stands still within Doug and Sherri Troupe's household. "Life is more important," Doug Troupe said. It's the same message viewers will hear from the family in a PSA by the National Safety Council, Nebraska , highlighting how distracted driving affected area families. 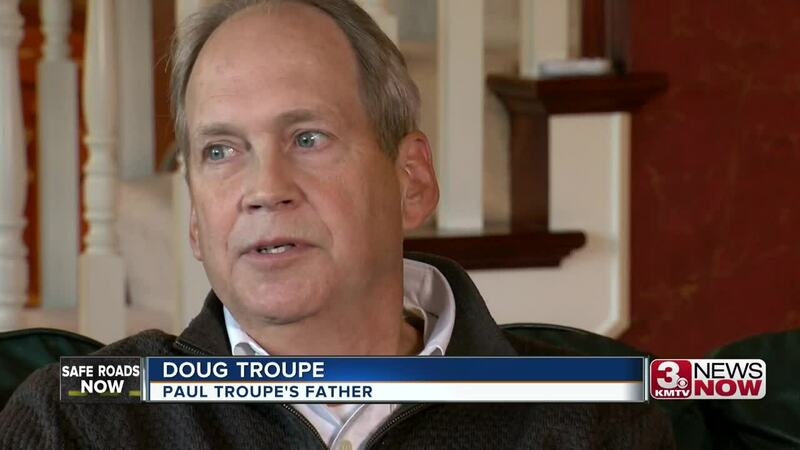 Paul Troupe's death launched his parents' crusade against poor driving behavior. The pair joined the board for the nonprofit group Keep Kids Alive – Drive 25 . Their hope is for anyone to see how distracted driving can end with us. 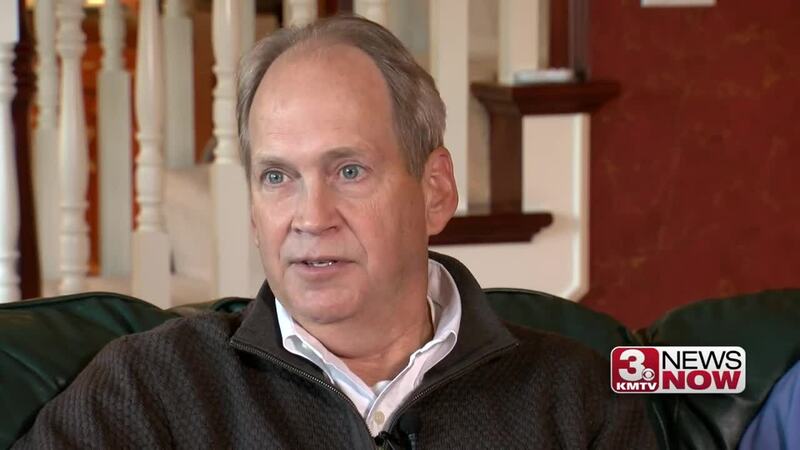 "It can wait," said Doug Troupe. "That cellphone message, the text you heard on your phone — you don't have to answer it right away."